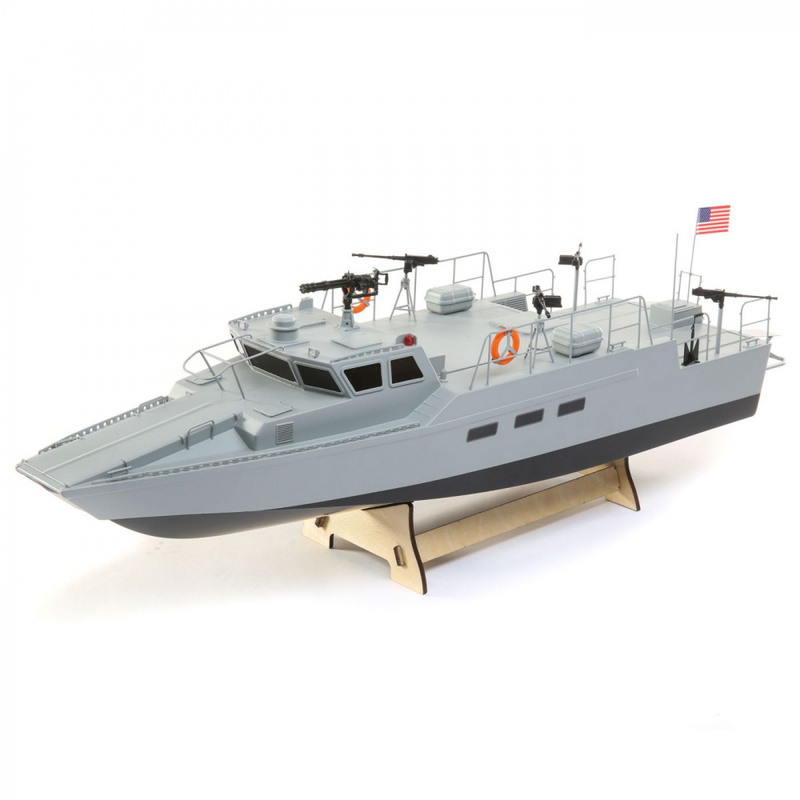 Patrol the coast with the Pro Boat® 22-inch Riverine Patrol Boat. 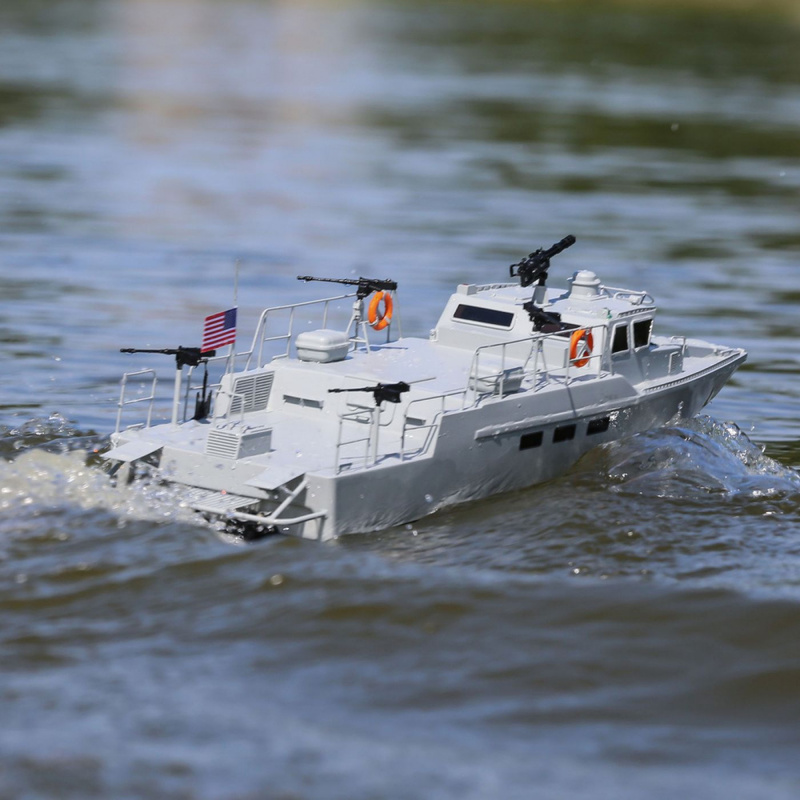 Modeled after the US Navy's RCB (River Command Boat), this scale model has everything to make true military enthusiasts smile including molded detailed accessories such as machine guns, round life preservers, lights pods, GPS module, antennas, flag, and working LEDs. 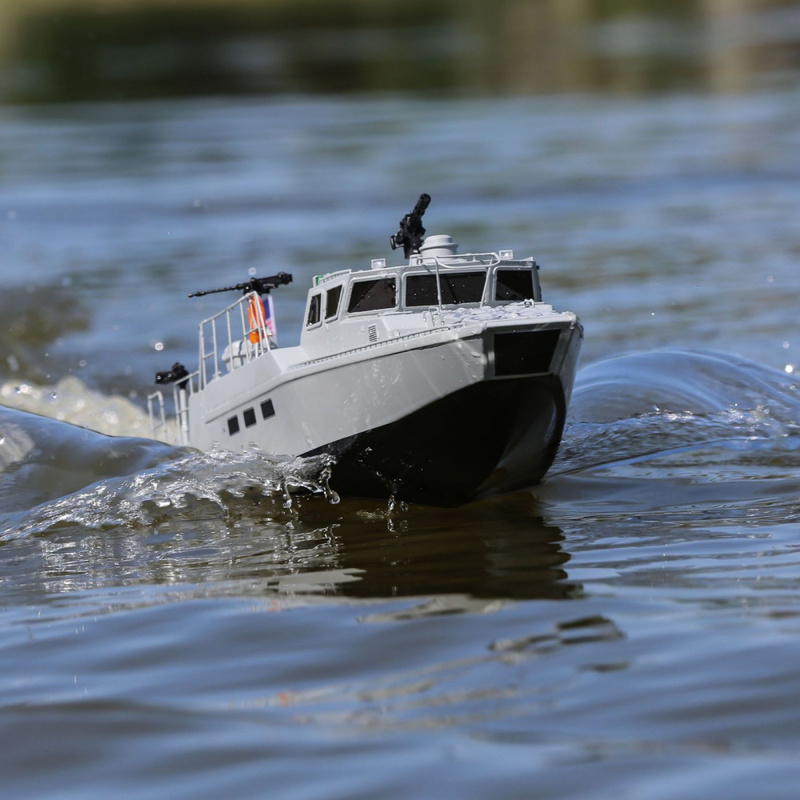 Featuring dual brushed 390 motors, 60-amp brushed LiPo compatible waterproof ESC and a durable ABS hull, you can hit the waterways with confidence. Additionally, powerful, steerable jet pumps provide full power while maintaining scale speed and steering. Plus, there are no exposed propellers so the Riverine can be used in a river or stream with as little as three inches of water. 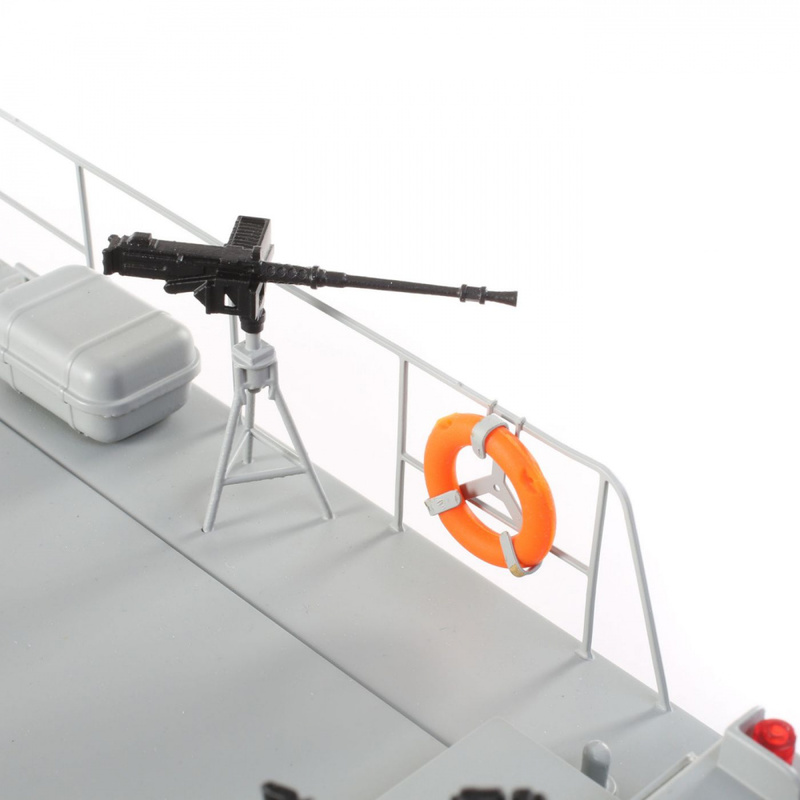 The Riverine Patrol Boat commands attention on the water or in the display case. 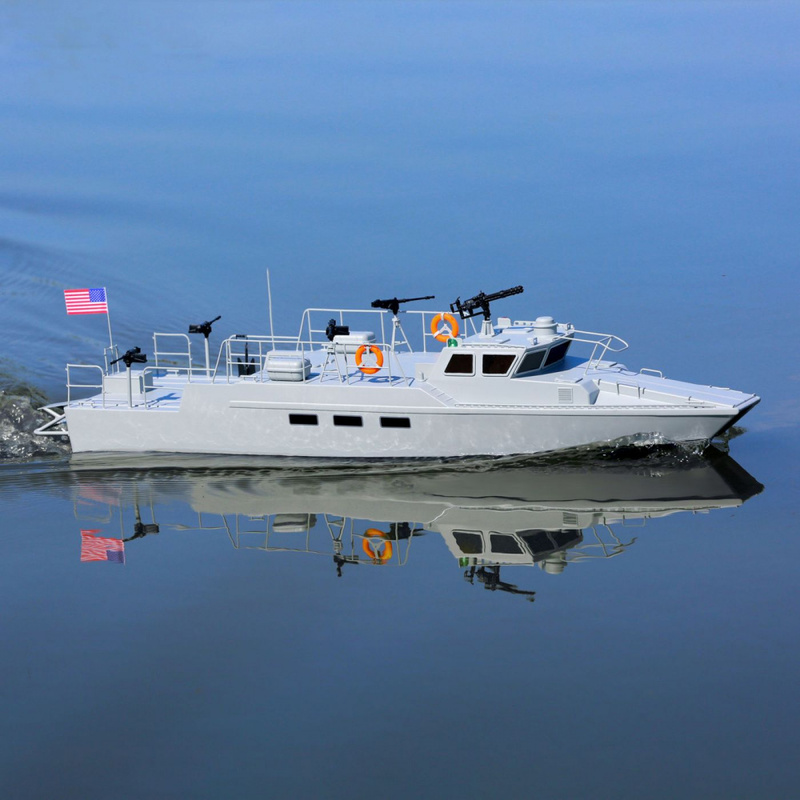 Like the US Navy's River Command Boat, the Riverine Patrol Boat is propelled by twin, steerable jet pumps. 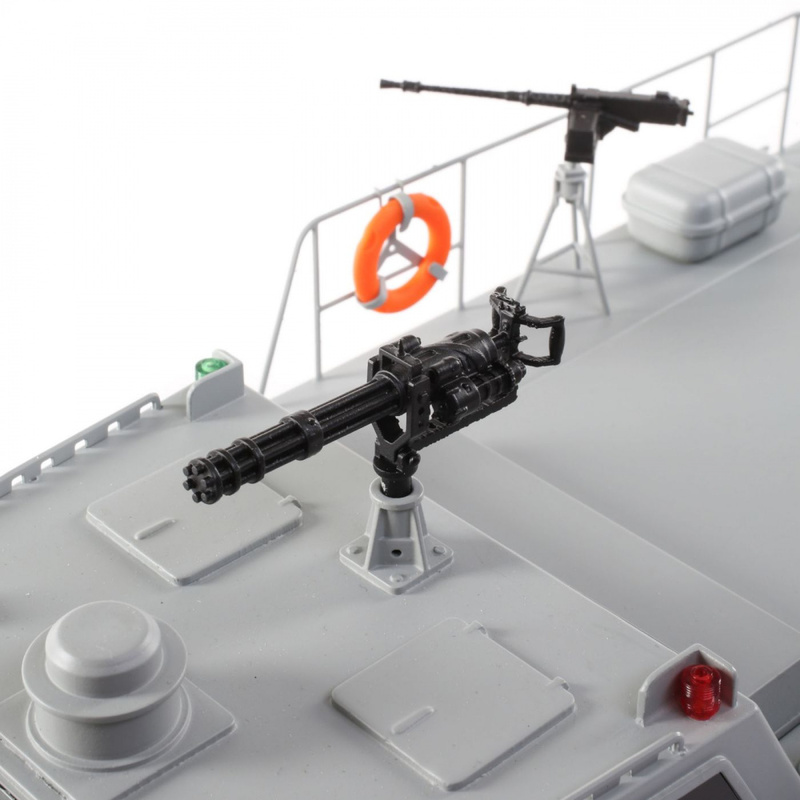 You’ll love the realistic and detailed molded accessories such as machine guns, round life preservers, light pods, GPS, antennas, and US flag. 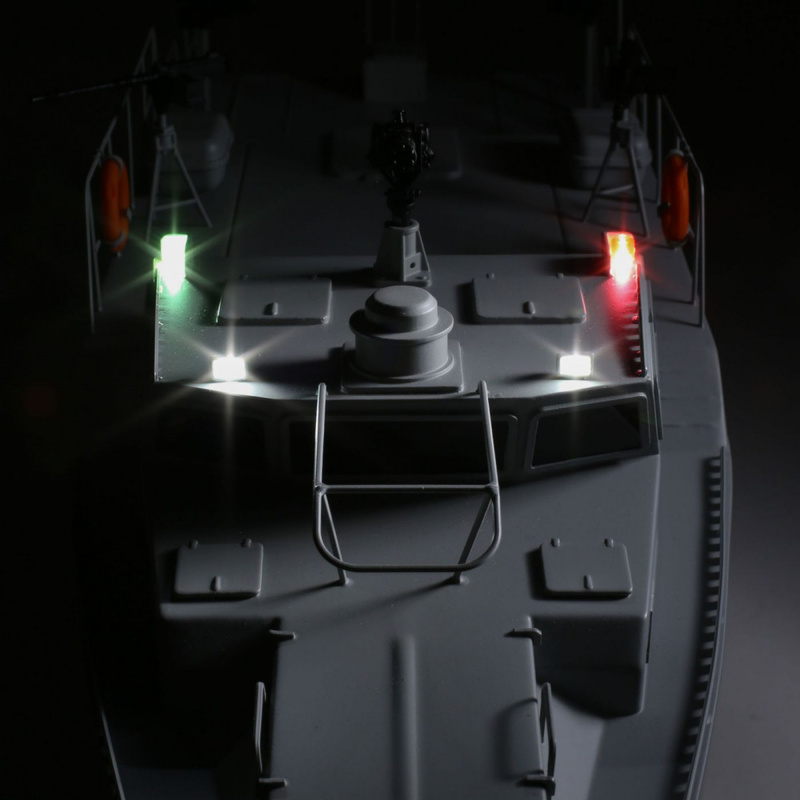 Working LEDs help you light up the night and add to the scale realism. 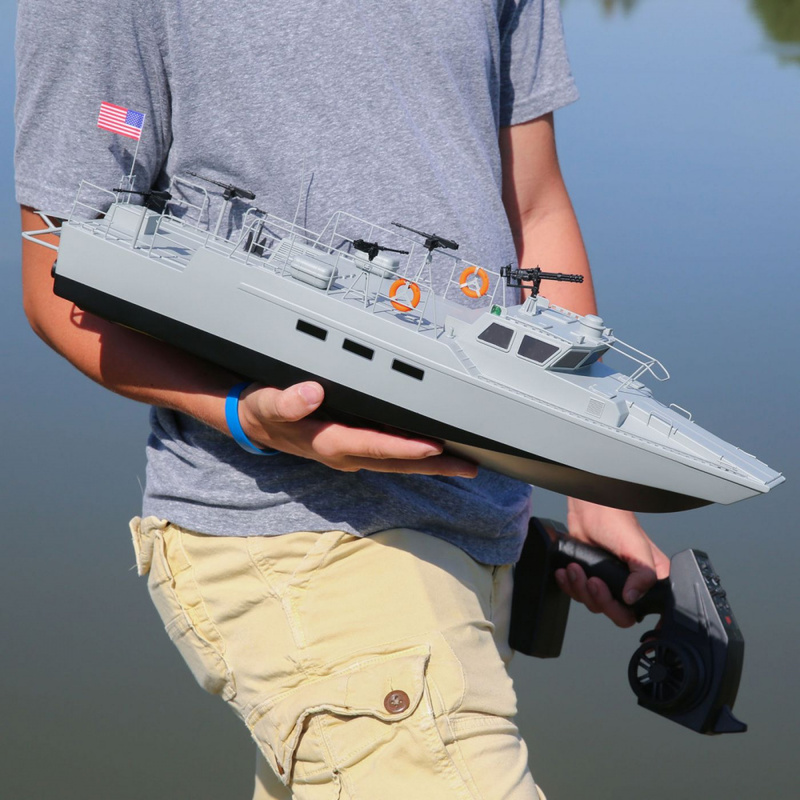 The included 2.4 Spektrum™ STX2™ 2.4GHZ transmitter provides a clear, precise connection while the boat is on the water.